We all know that kids just love dinosaurs! Wherever you're located in the UK or Ireland there's sure to be a dinosaur attraction near you. We've rounded up a list of the top 24 dinosaur attractions across the UK and Ireland where you and your kids will have a blast (and learn loads about dinosaurs too). The Natural History Museum, located in the heart of London, has an awesome selection of real dino fossils, including a T-Rex, triceratops and iguanodon! In the Grand Gallery of the National Museum of Scotland you’ll get to see a Tyrannosaurus Rex! You'll also get to view Scotland's very own plesiosaur. Dippy the Dinosaur is going on tour around the UK and will be at Ulster Museum Belfast between 28 September 2018 and 6 January 2019. In the Deep Time gallery you can see the only dinosaur bones ever found in Ireland! This museum on the ‘Jurassic Coast’ is built on the site of the home of Lyme Regis’s renowned fossilist Mary Anning. The museum also organises fossil walks, where kids can become dinosaur hunters for the day! Owned and run by Paleontologist Steve Davies and his wife Jenny, the museum has a spectacular collection of the local Jurassic marine fossils and explains what they are, why they are there and what they mean. This museum has a 2,000-piece fossil collection, plus an immersive underwater world, which takes visitors on a journey through life under the seas of Kimmeridge over 150 million years ago. The centre-piece, Stan, a life sized replica fossil skeleton of a Tyrannosaurus rex is 3.7 metres high and 12.2 metres in length and weights 8 and 9 tonnes. Other replica dinosaur skeletons include a Velociraptor, a Galapagos and a Oviraptor. The museum has over 1,000 fossils, dating back 126 million years, including those from some of the 15 dinosaurs known to have come from the Isle of Wight. This small museum, located in the University of Galway, holds an extensive collection of fossils including specimens of the large Jurassic marine reptile Ichthyosaurus along with replicas of Cretaceous dinosaurs from the Isle of Wight, including the skulls of Megalosaurus and Iguanodon and a complete Hypsilophodon. The Sedgwick Museum of Earth Sciences is the oldest of the University of Cambridge museums, having been founded in 1728. 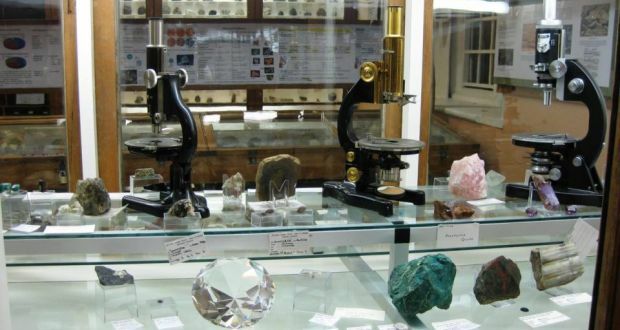 Since then the collection has grown from about 10,000 fossils, minerals and rocks, to at least 2 million. A walk through the museum will take you on a 4.5 billion year journey through time, from the meteoritic building blocks of planets, to the thousands of fossils of animals and plants that illustrate the evolution of life in the oceans, on land and in the air. Also a major teaching and research resource in the Department of Earth Sciences, the Sedgwick Museum collections are a national treasure. Dinosaur Nest at Celtic the Celtic and Prehistoric Museum has Ireland’s only intact Woolly Mammoth skull, with its tusks still attached, but also the only complete dinosaur skeleton (of a baby dinosaur), a large nest of dinosaur eggs. The Dinosaur Park includes a dinosaur trail that includes 30 dinosaurs lurking in the swamp below. As well as the trail there's an adventure playground with diggers, rides, games, dino-golf, and an indoor play area - perfect for smaller dino fans! 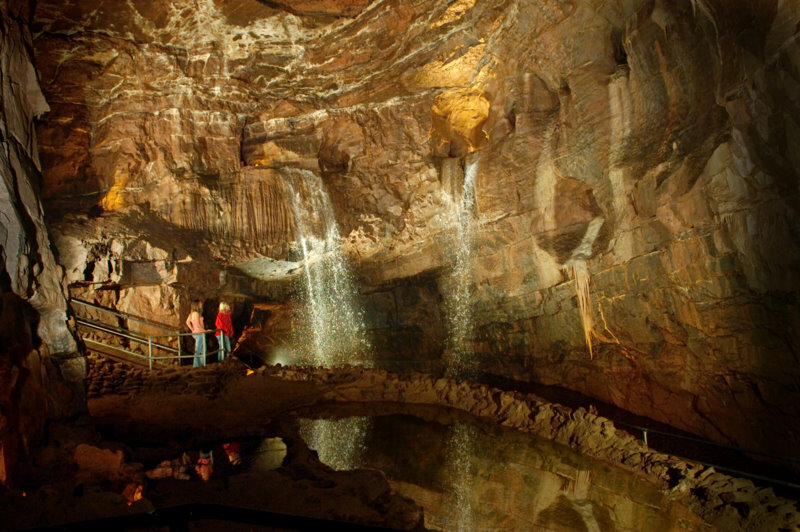 An award-winning adventure space and a unique family day out. The 85 acre park includes lots of exciting attractions for the kids, including animatronic dinosaurs in natural surroundings. Here you'll find tree trunks carved into dinosaur figures! The gardens have also gained the nickname of Ireland’s Jurassic Park. This is a safari park with a difference. As well as viewing all the cool animals, the kids will get to spot 40 dinos, which span the Triassic, Jurassic and Cretaceous periods. Explore Dino Park in Dumfries, a prehistoric adventure packed with Dino Mines and Dino Dens. Here you'll be able to see 200 life size dinosaur models... so the kids can see how big some of these prehistoric giants really were! Tickets to the Dinosaur Park include access to all the caves also. The Dinosaur Museum is set in an old Victorian schoolhouse in the centre of Dorchester! 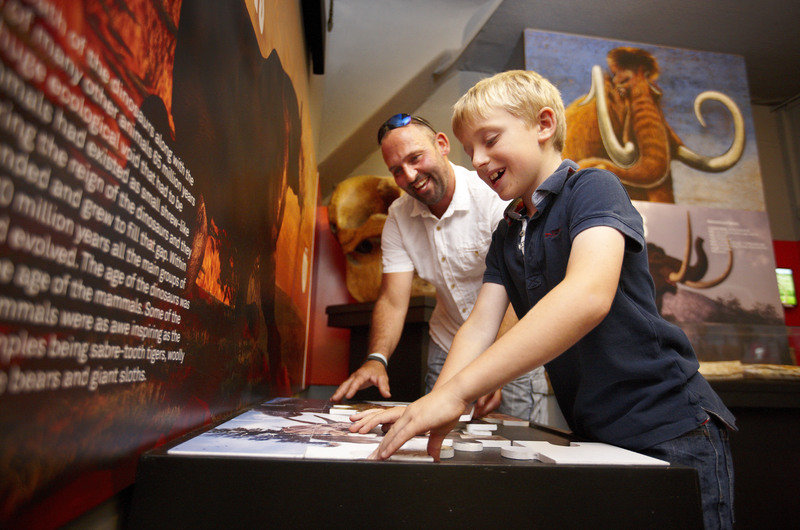 Learn from the pioneers of fossil discovery including Mary Anning and Richard Owen and explore the rich dinosaur heritage of the Jurassic coast by seeing and touching our real fossil displays including dinosaur heads, teeth, eggs. This park in Milton Keynes has lots of dino fun including 32 animatronic dinosaurs and a dinosaur river ride. Little ones can even enjoy a safari on top of their very own dinosaur on wheels! Kids can interact with lifelike animatronic dinosaurs at the Tayto Park Dinosaurs Alive exhibition. See Tyrannosaurus Rex, Stegosaurus, Apatosaurus and more. 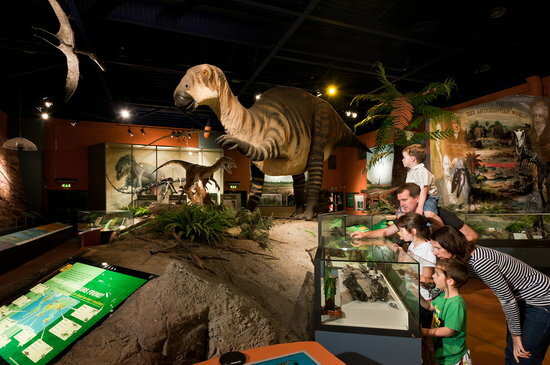 A fun interactive indoor exhibition that brings the world of dinosaurs to life. Your kids can view amazing full size & scaled dinosaurs and pretend to be paleontologists for the day! The park is set over 28 acres, where kids can see tyrannosaurus, megalosaurus and dilophosaurus. There’s also a Dino Express train ride and a small museum displaying fossils, including a dinosaur’s nest. Check out the dinosaur rides and attractions at Paultons Park, including the Flight of the Pterosaur. Soar high into the skies upon on The Flight of the Pterosaur, a 395m suspended dinosaur coaster. WonderKid is the best educational subscription box for kids aged 7 - 12 and 3 - 6! Every three months your WonderKid will get a subscription box based around a fascinating theme! Five Fast Facts about Dinosaurs!